Select the types of system messages to be displayed. Select the types of licensing messages to be displayed. Select the types of device communication messages to be displayed. 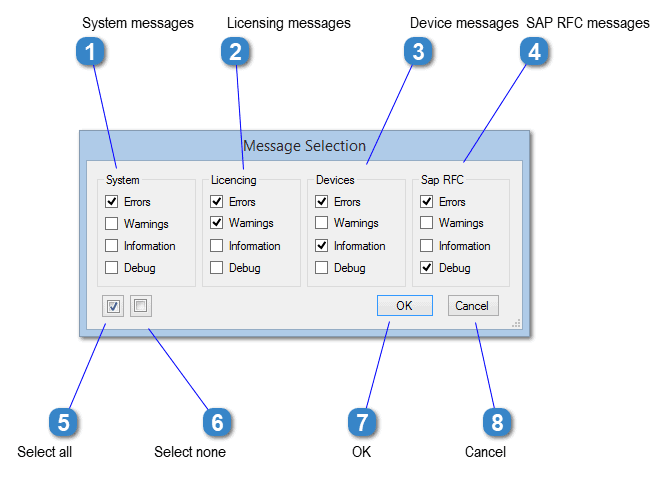 Select the types of SAP RFC communication messages to be displayed. Click to deselect all message types. Click to save your choices and return to message monitoring. Click to return to message monitoring without changing the message type selection.